...then 20:40 a very pronounced Bu - hu. His eyes are still on alert. Polly, Hellem, thanks a lot for pictures and reporting. 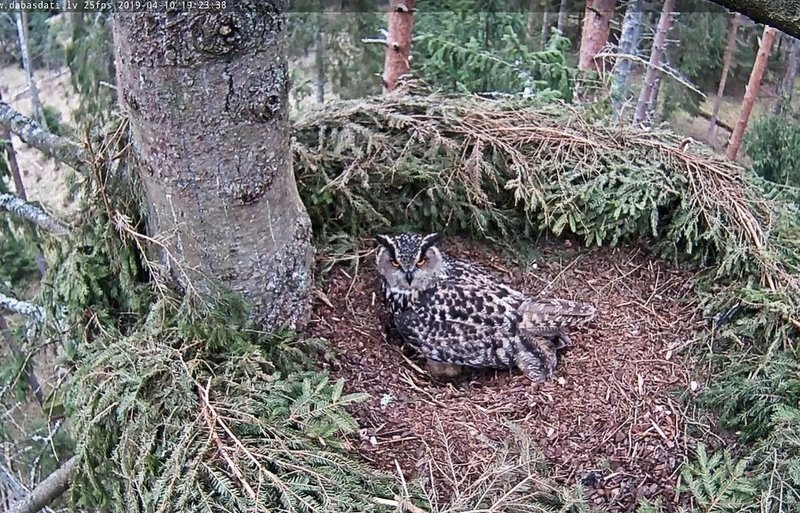 oh, uh... Bubo doesn't look amused. Polly, I think he was a bit unhappy this morning. Bubo was distracted back in the woods all the time... just staring there. Until he went away. Sometimes I thought the camera was frozen. Something is different on YouTube now. I still have to practice. Sorry. Seems that he has given up advertising. I miss the evening visits of Bubo very much but our little friend has earned a break from the exhausting time. I guess it's time to wish him all the best until late fall. 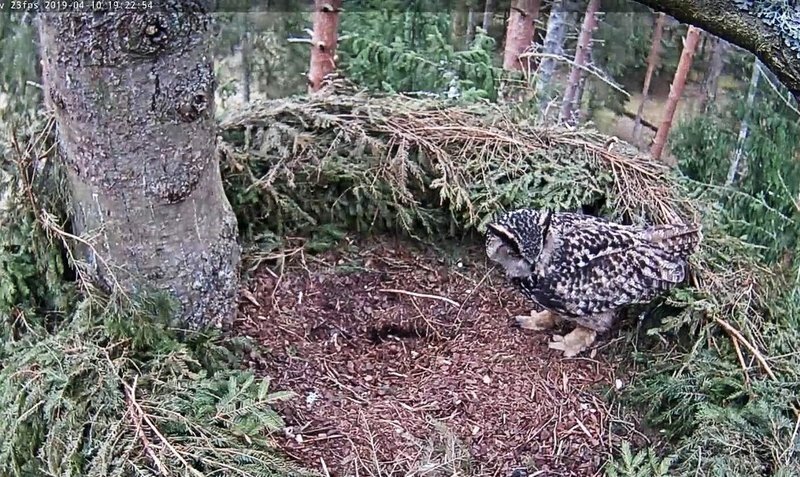 Today I missed Bubo. I was late home but I got smart with our bird friends in the neighbor forum and could rewind. 21:11 And Bubo sat down on the edge of the sea. It's a strange rattling to hear...a rattling. I can't interpret the bird but it makes me curious. At 21:12:18 a nimble shadow can be seen. A bat? 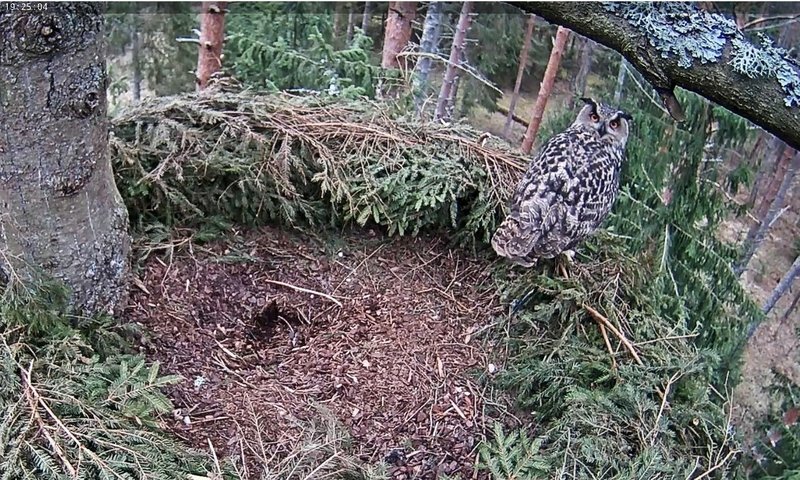 Birds can still be heard all around and Bubo is also very keen-hearing and attentive. 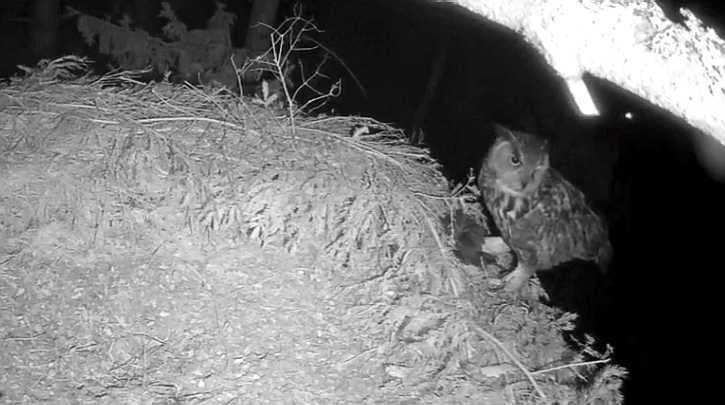 He takes care of his nest cave but he is always distracted. His shouting seems quieter than usual. 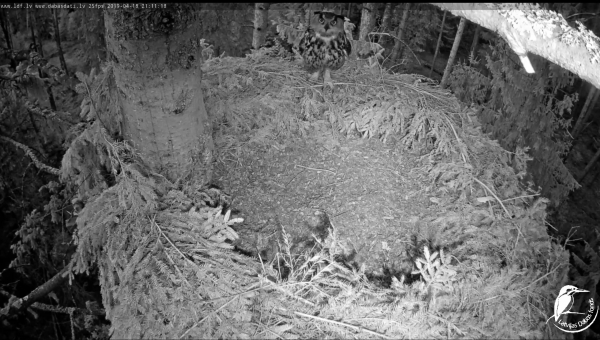 Bubo tightens his body... highest attention. Bubo in restlessness ... .
Once again a quick checking look into the gifts corner ....hm, empty. 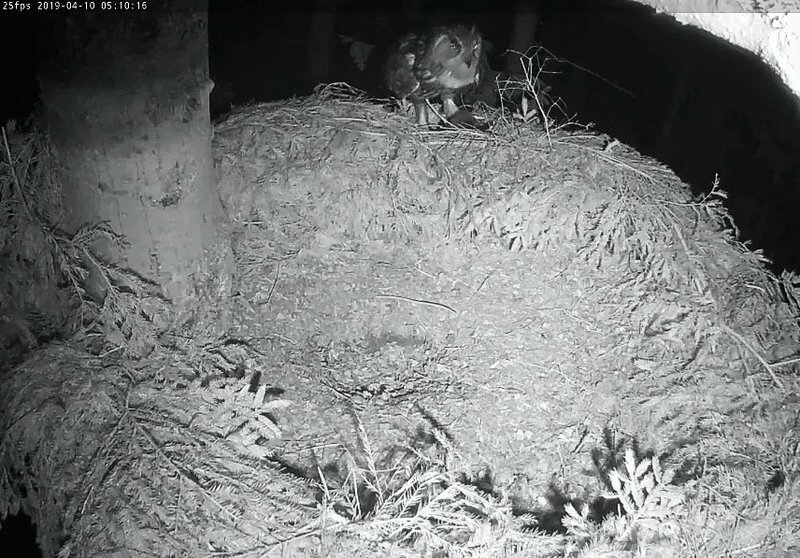 Hopefully Bubo doesn't think about the little shadow over the nest earlier. 21:15 He leaves the nest. I thought so too, but I try to keep the nest running every night. It didn't become easy with the return of the Ospreys. That's why I looked for the topic in the related forum. The friends there are also very attentive and that was very helpful today. Meanwhile I have DeepL translate it but sometimes it remains curious. It seems to me more accurate than Google translator. Of course not sea... that would be probably nothing for our Bubo. I should better proofread or learn English myself. Now I have to rewind... I didn't have the camera running.